Pharmaceutical and device marketing has entered a brave new world: bringing big data in-house for behavioral marketing. But big data isn’t necessarily smart data. TGaS Advisors investigated how pharmaceutical companies are keeping track of activities and analyzing the resulting data by interviewing senior marketing leaders with data-intensive responsibilities. 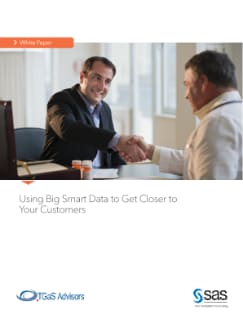 Learn about the relevant aspects to achieving success with “big smart data” strategies – for instance, gaining access to an analytical framework that gets you closer to customers and delivers real results for sales and marketing strategies.